Spain is renowned for providing a good level of state education to all children. 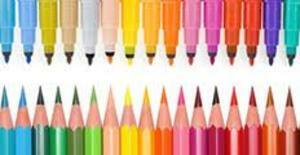 School is mandatory for children between the ages of 6-16 years although many Spanish state schools start at 3 years. When your child starts school, you will be given a list of any books or materials which must be provided by the parents, but the education is, of course, free. If your family is on a low income grants are available. Children aim towards studying for a bachillerato degree with which they can then apply to university. This qualification is recognised by universities worldwide. Whether you are choosing a state or a private school it is a good idea to visit and compare various schools. Make an appointment for a time when the teacher of the class is available, and you and your child can have the chance to take a look around. Try to talk to parents whose children attend the school. There may be a waiting list for your child to attend but this normally is only a term. Lessons are mainly conducted in Spanish; however there are some teachers available who speak English. Attending a Spanish school your child will learn very quickly the new language and will integrate into the Spanish community, making new friends for themselves and for you. All children are invited to take part in the local fiestas. Parents of children below the age of 3 years can apply for their child to attend a state run or private nursery. 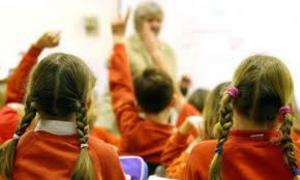 Infant school for children between 3 and 6 years is normally part time and it is not compulsory to attend. Children 3 to 5 years are classed as infantil (Educación Infantil) and children 6 to 12 years Primary (Educación Primaria) Children 12 to 16 years are Secondary Education (Educación Secundaria Obligatorio). There are residential schools for children in the Almeria area, a list of which can be obtained from any local school. If your child specialises in a particular subject such as music, dance or art, specialist schools are also available. Special needs children are integrated into mainstream schools wherever possible. A free school bus operates from most schools where designated pickup and drop off points are arranged, which is invaluable to those parents who work. Secondary school (Educacion Secundaria Obligatorio) begins at the age of 12 years. There are no GCSE's taken, each student who successfully completes their secondary education is awarded a Graduado en Educacion Secundaria. At 16 years the child has a choice of either work or vocational training or continuing to a higher level of study gaining one of four types of Bachiller (academic or vocational). 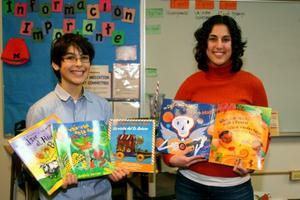 If the child succeeds in all modules of Bachiller he or she will gain a Bachiller Diploma. To gain entry to a Spanish University all students (who have appropriate exam results) have to sit a further exam.